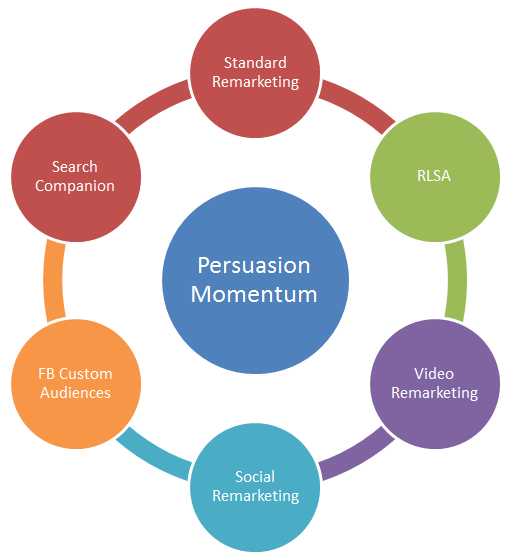 How to Create Persuasion Momentum with SEM - Bruce Clay, Inc.
Search Marketing » Bruce Clay, Inc. Blog » How to Create Persuasion Momentum with SEM - Bruce Clay, Inc. It takes 7 to 13 touches to deliver qualified leads, explains Online Marketing Institute in a recent two-part series (part 1 / part 2). The gist: prospects considering a substantial purchase need time for research, consideration, and then action. As marketers, we need to acknowledge this decision-making behavior, and we need to determine a strategy that captures these touch-points and delivers quality leads and sales. Members of your target audience begin by thinking about their general problem and they start running search queries through the search engines. As those folks get more educated, their search queries get smarter and more specific. Eventually, members of your audience are more aware of their options (you and your competitors) to solve their problem, and they start to make comparisons. At the end, your prospect knows what solution is a good fit for them or their company — and hopefully that’s you! Sure, the purchase process isn’t always this clean, easy and linear. People hop back and forth between devices, channels and priorities on any given day, and this can be extremely challenging for SEM managers to monitor, manage, and optimize. This is where persuasion momentum comes in. Go ahead and embrace the fact that your audience may need to be touched 7-13 times before they will convert — and forge a plan to get your persuasion momentum rolling! As an SEM manager, you have a wide array of tools at your disposal that will help you stay in front of your audience through the entire consideration process. These strategies include varying channels and devices. Here is a short list of tactics you should consider in order to gain those critical 7-13 touches that should gain the attention of your target audience. Note that this list is focused on SEM/Display/Social; it doesn’t include email, direct mail, phone calls, and other offline touch points. There are numerous other tactics you can add to your persuasion momentum strategy. Standard Display Remarketing: “Standard” means remarketing that you can utilize via Google AdWords or another third-party platform. Video Remarketing: AdWords now offers the option to remarket to people who visit your YouTube page or watch any of your videos. Social Remarketing: Utilizing FBX to remarket on Facebook. Facebook Custom Audiences: You may need to get in front of individuals who may have already converted (requested information, etc.). You can upload your email marketing lists into FBX and target these people on Facebook. Search Companion: This tactic involves targeting the Google Display Network via search queries. This means you target specific queries on Search and your ad shows up on the Display Network. Remember that all touch points are not created equal. 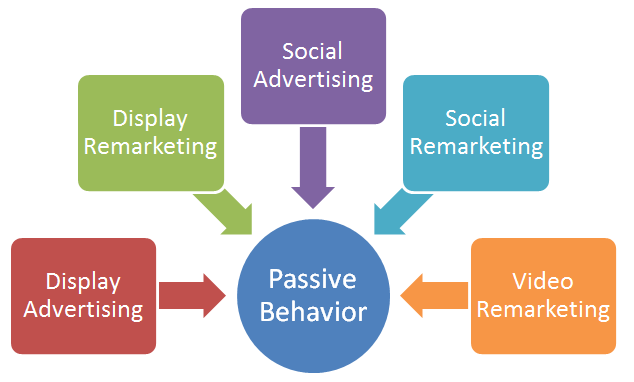 Some tactics target users who are in a passive frame of mind and others target individuals for whom you may be top-of-mind (active behavior). Each of these tactics may have more value to your company and campaign. You will have to conduct some trial-and-error to get the right mix for your business. The objective of these tactics is to stay visible to your audience. Or perhaps rattle their memory into action when they see your remarketing ad and they haven’t converted yet. In the future, look for a discussion of how you can structure your campaigns to best utilize this strategy, along with how to establish tracking in order to establish which channels work best for your business. 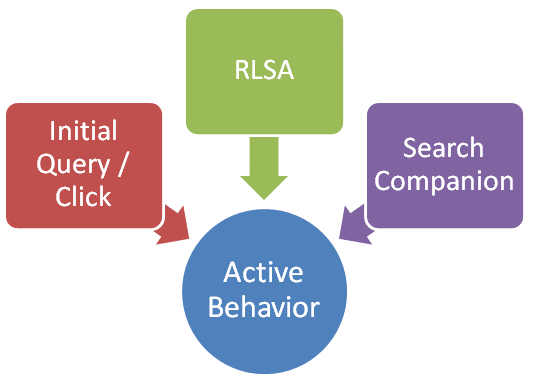 I have used the RSLA methods with Google Adwords and it works fairly well. I need other tactics to round out my next campaign and your post has given me a wealth of information. Thank you! Interesting tactics you shared there and if you put it that way, it becomes clearer that marketing should go much deeper in understanding target market. Remarketing or retargeting can be very powerful. Thanks!